Ride cross-country mountain bike trails with less effort. 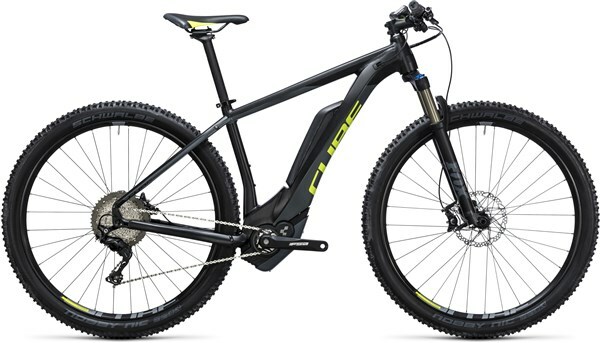 The Cube Reaction Hybrid HPA SLT 500 is an electric bike that offers proper XC MTB performance. The new Superlight aluminium alloy ‘Gravity Casting’ frame has better integration for the Bosch CX ebike drive unit which offers improved handling as well as a cleaner look. Delivering up to 75Nm of torque, the Bosch Performance CX motor boosts your natural pedalling power so that you can ride further and faster with much less effort, especially up the climbs. Four power modes – Eco, Tour, Sport and Turbo – allow you to vary the power output so that you make the 500Wh battery capacity last for your whole ride. The power output and battery capacity are easily monitored and controlled through the handlebar mounted Purion display unit. Agile Ride Geometry offers a comfortable riding position with a stable platform for riding over varied terrain. 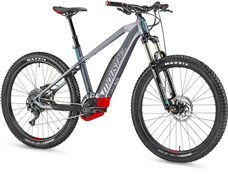 The 27.5” wheels offer the ideal balance between nimble handling and rapid rolling performance and are especially suited to smaller riders (taller riders will find the 29er version offers a better fit). The Fox 34 Rhythm fork up front offers 100mm of plush suspension travel to tame the rough. The 2-position Sweep-Adjust Grip damper allows you to match the forks performance to the trail conditions. The Shimano XT 1x11 speed drivetrain offers slick shifting with a wide range of gears for taking on all the ups and downs on your route. XT hydraulic disc brakes give you confident stopping power in all weather conditions. 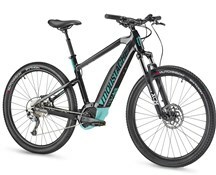 Explore further on the Cube Reaction Hybrid HPA SLT 500 ebike.